Through the Mist is a regular column from Luke Le Page covering everything World of Warcraft. If you’d like something covered in a future column, drop us a line! Looking back at the year, I’m not entirely sure that it deserves a year in review. Certainly we saw the release of Mists Of Pandaria; which has already been reviewed by myself and many others so it seems pointless to do so. The only other big thing I can think of is the subscription numbers. The most recent figure I can find is a rather general 10 million. While up from the recent dip to 9.1 million I am sure Blizzard were expecting a higher number with the launch of another expansion. The positive trend though still shows that WoW isn’t going anywhere in the near future unless you count upwards. Instead I think I will write a little bit about how the game has me feeling at the moment – it’s been several months since the launch of MoP and for many the shininess is beginning to, or has already worn off. Many of the long-time wow players that I game with (including several Vanilla guildmates) have been slowly drifting away from the game again. Many citing the daily grind as the reason, saying that they feel as if they have to complete daily after daily to progress in the game. I can certainly feel their pain and I share it to a certain extent. Of late however I have found myself lacking the motivation to even do the dailies once, let alone repeatedly. 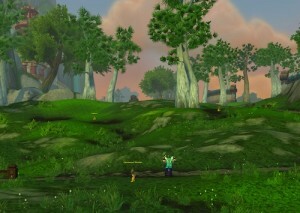 Many times since I returned from my vacation I have logged in, wandered around aimlessly and logged out. I feel as if there is little for me to do within the game. On analysis this seems like a silly, impossible thing. There are dailies, scenarios, heroics and raids to do ( I am not much of a PvP’er ). Indeed, I still try to run my LFR runs on a weekly basis but I feel as if I am doing it because I have nothing else to do in the game. In the past I would have levelled alts – in most expansions I have had a minimum of 5 (usually more) characters at maximum level but so far in MoP I have a solitary 90, an 87 and a smattering of 86’s of various classes. I’m not entirely sure what it is currently – I am tempted to blame my holiday but I have to confess to feeling this way prior to going away. I still like the game, that much is certain but am I enjoying it? I don’t think that I am. Hopefully 5.2 will offer me something, I have always enjoyed Troll content and it will be interesting to see how it ties in with the Mogu. How are you feeling about the current state of the game? After quitting WoW and returning to it three times now, for exactly the reasons you so eloquently outline here, I think I’ve finally developed a new perspective. My own conscientiousness used to compel me to do dailies and grind rep and ensure I was over-adequately prepared for every raid to the point that it felt like a job (a boring and extremely underpaid job!) and I’d quit. So when I returned to WoW this last time I made a resolution – every time I log in I’ll do what I WANT to do and not what I think I SHOULD do. I had to downwardly adjust my goals a little but I found a home with a raiding guild that’s accomplished but isn’t looking for server firsts or seconds or even thirds. I leave the daily grind and weekly Valor Capping to the Cata babies who are still afflicted with the just-discovered-WoW flush and rely much more on the six years of skills and experience I’ve amassed than my gear for progress. And I really look forward to those three nights a week because it now accounts for 75% of the time I play WoW.